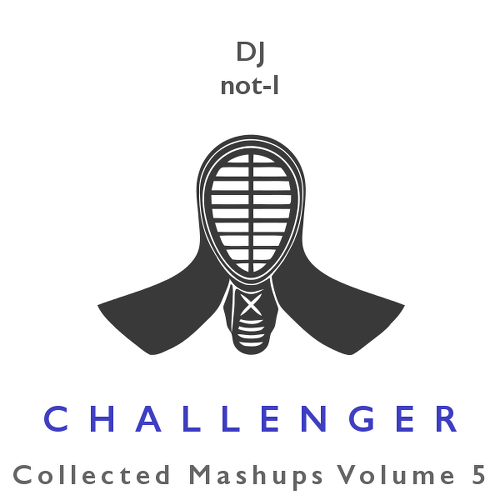 Challenger is a double album of 36 different mashups comprising over two and a half hours of quality music produced in one year (2010). Every track was made for a challenge of one sort or another, hence the title. 8. A Pop Rhapsody (Jay Sean vs. Flo Rida vs. T.I. & Rihanna vs. Shakira vs. Taylor Swift vs.
Soulja Boy / Sammie vs. Lady Gaga vs. Beyonce vs. Katy Perry vs. Kelly Clarkson vs.
* Produced for Off The Beaten Meter: Mashups Beyond 4/4 (compilation). Complete list of sources in mp3 tags. Produced by DJ not-I @ Mexikotrax, 2010. Central cover image by Cromenon, under Creative Commons License (CC-BY-NY-ND-3.0). Download: Disc 1 & Disc 2.